Nguyên Lê is a self-taught musician, synthesizer programmer, composer, arranger born in Paris to Vietnamese parents. He began his musical odyssey on the drums at 15, then moved on to the guitar and electric bass. He studied Visual Arts and majored in Philosophy, doing a thesis on Exoticism. Music continued to beckon and he co-created the multi-ethnic band, 'Ultramarine' in 1983 from which the CD, 'DE' was forged and considered "1989's best World Music album" by Philippe Conrath of Libération. Experimenting with a wide array of musical styles, Nguyên Lê participated in and contributed to: rock & funk (Jim Cuomo, Madagascar tour '84), jazz standards & avant garde Jazz (bass player with Marc Ducret, guitar player with Eric Barret), Improvised Music (Yves Robert), singers (Ray Charles), Contemporary Music (André Almuro, Tona Scherchen, Marius Constant, Mauricio Kagel), Ethnic Music: African & Caribbean with Ultramarine ('85), Algerian with Safy Boutella & Cheb Mami, Indian with Kakoli, Turkish with Kudsi Erguner, Vietnamese with his “Dan Bau” (traditional one-stringed instrument) teacher Truong Tang in 1979. September of 1987 brought him to the O.N.J. (French National Jazz Orchestra), chosen and invited for membership by director Antoine Hervé. Within this big band, he played with such musicians as Johnny Griffin, Louis Sclavis, Didier Lockwood, Carla Bley, Steve Swallow, Randy Brecker, Toots Thielemans, Courtney Pine, Steve Lacy, Dee Dee Bridgewater, Gil Evans, Quincy Jones. Nguyên Le’s work also includes programming synthesizers, effects & computers as well as writing orchestral pieces : 'Processor' composed, arranged & recorded on CD 'O.N.J. 87 & Lunik II' co-arranged with Dominique Borker & performed by the O.N.J. 1989. May of 1992 brought his 2nd album Zanzibar, which got the prestigious Télérama 'ffff' award. This came on the heels of a one month tour with Paul McCandless on winds, Art Lande (piano), Dean Johnson (bass) & Joël Allouche (drums). In January 1993 he recorded 'INIT', a trio with André Ceccarelli, François Moutin & guest Bob Berg, while setting up a new band focusing on the music of Jimi Hendrix, with Corin Curschellas (vocals), Steve Argüelles (drums), Richard Bona (bass). 1993 (and on) continued with frequent guest soloist appearances with Köln's WDR Big band especially with composer/director Vince Mendoza. 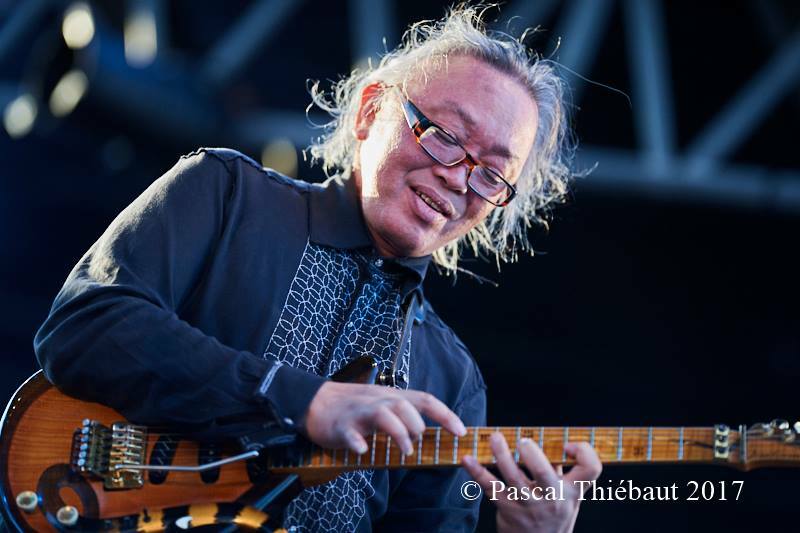 Nguyên Lê played on three of his projects: Jazzpaña, Sketches with Dave Liebman, Charlie Mariano, Peter Erskine, & 'Downtown', with Russell Ferrante. Nguyên Lê was the guest soloist of 'The New Yorker', a suite by Bob Brookmeyer, with Dieter Ilg (bass) & Danny Gottlieb (drums) in 1994. With these two musicians he formed his first trio, and recorded Million Waves in December of 1994 about which Télérama wrote : "This trio brings him to some musical spaces which he had not even imagined, & which are pure poetry". 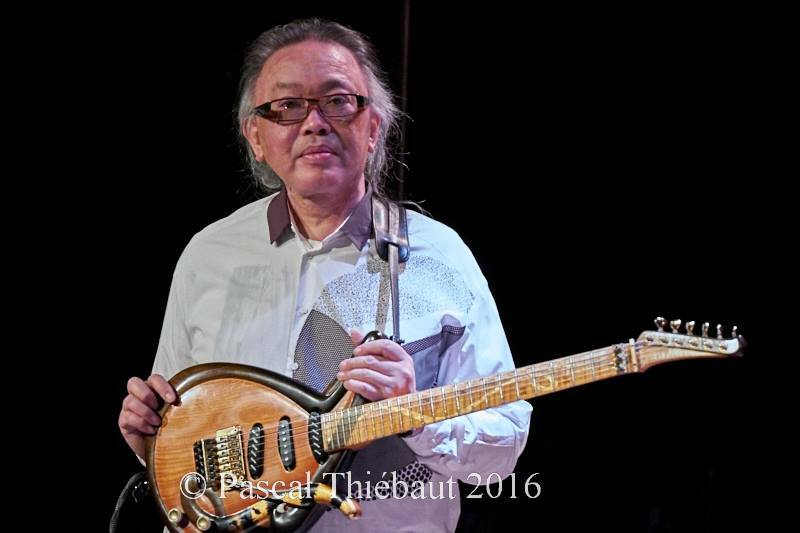 At the same time Nguyên Lê was playing in trio with Michel Benita (bass) & Peter Erskine, recording on Michel Portal’s new album with Ralph Towner (guitar), & working with Ornette Coleman on one of his contemporary music pieces, 'Freedom Statue'. In June 95 he was invited by WDR BigBand in 'Azure Moon', with the Yellowjackets & Vince Mendoza. In July 1995, in the Stuttgart Festival, he was one of the guest guitar players to celebrate the “Universe of Jimi Hendrix”, besides Trilok Gurtu, Terry Bozzio, Cassandra Wilson, Jack Bruce, Vernon Reid, David Torn, Victor Bailey, Pharoah Sanders... Later playing with John McLaughlin, Michel Petrucianni, Markus Stockhausen, Enrico Rava, Ray Anderson, Kenny Wheeler, John Taylor, Dave Douglas, Wolfgang Pushnig, Uri Caine, Tigran Hamasyan, Herbie Hancock, John Scofield, Joe Lovano. In April 1996, Nguyên Lê created Tales From Vietnam, a project on Vietnamese music, with an 8-piece band blending jazz & traditional musicians. With stage director P. J. San Bartolomé, he embarked on 'Of the Moon & the Wind', a complete show where traditional & contemporary Vietnamese dancers are integrated to the 'Tales from ViêtNam' orchestra. The CD, 'Tales From Vietnam' received great acclaim from international critics : Diapason d’Or, Choc du Monde de la Musique, Choc of Year 1996 Jazzman, 2nd best CD 96 for Jazzthing (Germany), Best CD 96 on radio TRS 2 (CH), “a minor masterpiece” Jazztimes (USA). April 1997 brought the release of his 5th CD, Three Trios, with Marc Johnson/ Peter Erskine; Dieter Ilg/ Danny Gottlieb; & Renaud Garçia Fons/ Mino Cinelu. JAZZIZ Magazine USA: "At times, jazz guitar can sound staid - but not in the case of N. Lê. He’s forever breaking boundaries for our benefit". He recorded 2 CDs with Paolo Fresu’s quartet: Angel (February 1998) & Metamorfosi (April 1999). In May 1998, the 6th record was released: Maghreb & Friends, an exploration of Maghreb musical traditions & a deep collaboration with Algerian musicians. "Far from a false world music, N. Lê simply touches, with force & intensity, to universality", F. Medioni. N. Lê produced the 1st CD of Huong Thanh, 'Moon & Wind', entirely accomplished in his home studio. He was also nominated for the 'Victoires de la Musique' award, 1999. His CD, Bakida, is based on his regular trio with Renaud Garçia Fons (bass) and Spanish percussionist Tino di Geraldo (percussion, drums) plus guests from all over the world like Kudsi Erguner, Chris Potter, Carlos Benavent. This CD has been voted "best jazz album of the year" by "CD Compact" (Spain). In September of 2002, the Huong Thanh CD, titled Dragonfly, was released. In June of that year N. Lê was invited by the Metropole Orchestra (Netherlands) to play his music arranged by Vince Mendoza. Purple: Celebrating Jimi Hendrix, was released in September of 2002. This was and is one of Lê’s most successful albums, with rocketing CD sales & non stop touring all over the world. 'Mangustao', Huong Thanh’s 3rd album, released in January 2004, was awarded as “Choc de la Musique” by French magazine, Le Monde de la Musique. In March of 2005 Walking on the Tiger’s Tail was released. This was a new album with his great friends Art Lande, Paul McCandless & Jamey Haddad. “A universe where the alliance between acoustic and electric, improvisation and writing, inner delicacy and virtuosic expressivity reach the ideal balance.”(Le Monde). Several projects were executed in 2006 : the score writing of “Le Sheitan”, a movie by Kim Chapiron with Vincent Cassel & Homescape a very electronic, improvised & mystical recording in collaboration with Paolo Fresu & Dhafer Youssef, all done at home. There was also the score for the Vietnamese movie “Saigon Eclipse” by Othello Khanh; the recording of “Mozart” last Uri Caine’s album; a 13-gig tour in the USA with “Tiger’s Tail” quartet, thanks to a CMA/FACE grant; two “classical” compositions commissioned by the Ahn Trio & the Laguna Beach Fest in Los Angeles. In addition, Nguyên Lê was unanimously awarded the guitar “Django d’Or” 2006. In 2007, after tours in US & China, he released Fragile Beauty, the 4th album with Huong Thanh. In 2008 he recorded Othello Syndrome for Uri Caine, Blauklang for Vince Mendoza & also Dream Flight, a new ELB (Erskine, Lê and Benita) album, with guest Stéphane Guillaume on sax. His 2009 project, 'Saiyuki', assembled Japanese koto and shamisen player Mieko Miyazaki and Indian tabla player Prabhu Edouard. It draws on a renowned Chinese 16th century novel. The story’s epic excursion from China to India becomes a metaphor for the three players’ musical journeys, real or imagined(3). The CD features Mieko Miyazaki (koto) & Prabhu Edouard (tabla) and special guest Hariprasad Chaurasia (flute). As a sound engineer he mixed and co-produced Dhafer Youssef's album, 'Abu Nawas Rhapsody', Céline Bonacina’s, 'Way of Life' & Mario Canonge's, 'Mitan'. A double-CD album covering 20 years of music creation, 'Signature Edition', was released by ACT in march 2010. He was guest soloist on Erkki Sven Tüür’s 5th symphony with Bremen Philarmonic. For the 2nd time Nguyên Lê received the CMA/FACE grant which supports the 'Saiyuki inviting Rudresh Mahanthappa' project to tour in US in the fall 2010. In 2011 he was awarded the rank of 'Chevalier de l’ordre des Arts & des Lettres' by the French Cultural minister & received the Django Reinhardt prize by French Academie du Jazz. 2011 saw the release of Lê's 'Songs of Freedom', an album with exotic interpretations of pop song hits from the 1970s with Illya Amar, Linley Marthe, St. Galland & guests Youn Sun Nah, David Linx, Dhafer Youssef, a.o. It received great acclaim from the international press - 'Record of the Year' & the cover story in Jazzmagazine/Jazzman and topped the jazz charts of Itunes and Amazon. 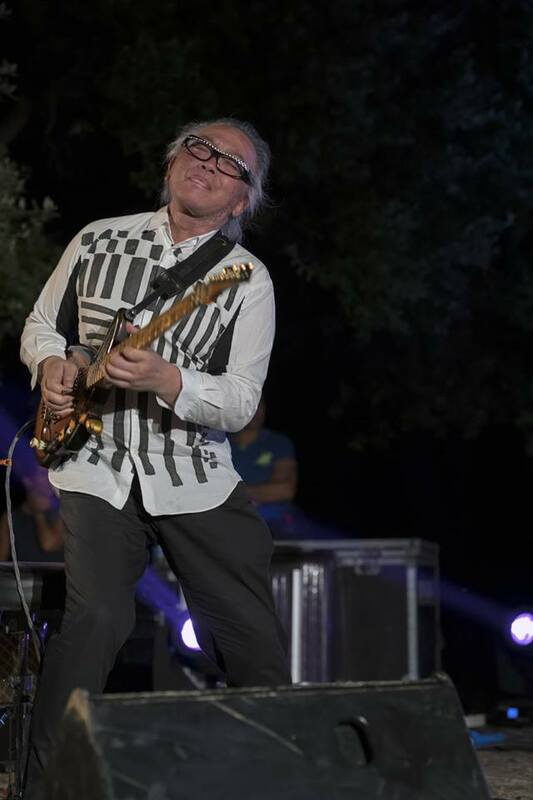 N. Lê joined Vince Mendoza in his last album, 'Nights on Earth' and took part in the 1st International Jazz Day celebration at Unesco with Herbie Hancock. In 2013 Lê produced the album, 'Doc Dao' for & with Hanoian singer Tung Duong, for which he received 3 awards in Vietnam : 'Best Song of the Year', 'Man of the year' and 'Best Show of the Year'. 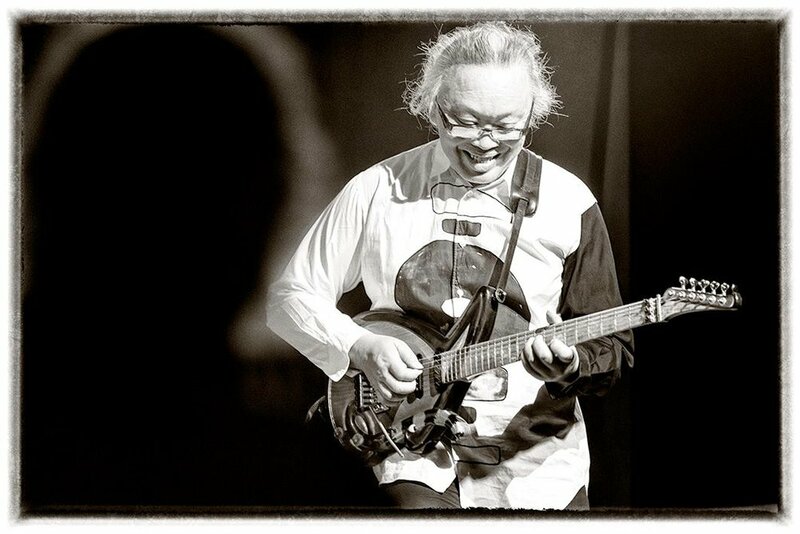 In 2014 he released, 'Celebrating the Dark Side of the Moon', a very personal version of the famous Pink Floyd album, with the NDR Bigband, Youn Sun Nah, Gary Husband & Michael Gibbs orchestrations. 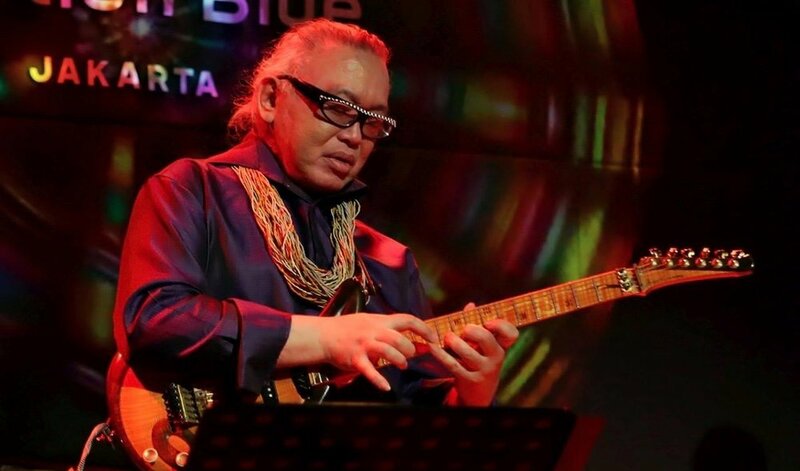 He was nominated as best international guitarist for the ECHO JAZZ 2015 (German Music Award) beside Bill Frisell & Pat Metheny. 2017 brought the release of Nguyên Lê’s 16th album, 'Hà Nôi Duo'. This work was brought about through the meeting and collaboration with the Vietnamese, traditional musician, Ngo Hong Quang, with the goal of expressing & sharing with the world the soul of Vietnam, and bringing together the roots and the future of Vietnamese music. In November, 2018 N. Lê is featured in an article in the Italian, Axe Guitar Magazine (p.22), in which he also mentions his choice of Zexcoil pickups for his renowned Tiger’s Tail guitar (p.26). Coming in the spring of 2019, N. Lê’s much anticipated album, "Streams", will be released. Progressive Jazz, Traditional Music, Psychedelic Rock, Hip Hop Groove, Circus Fantasy, Urban & Contemporary Dance united in a performance driven by the soul of Vietnamese migration. 10 Vietnams musicians & performers from all over the world. Steve Hunter is an American guitarist and session player best known for his collaborations with Lou Reed and Alice Cooper. His numerous contributions of talent, tone and style to the projects of other artists such as Peter Gabriel, Dr John, Jack Bruce, Tracy Chapman and Aerosmith are legion. 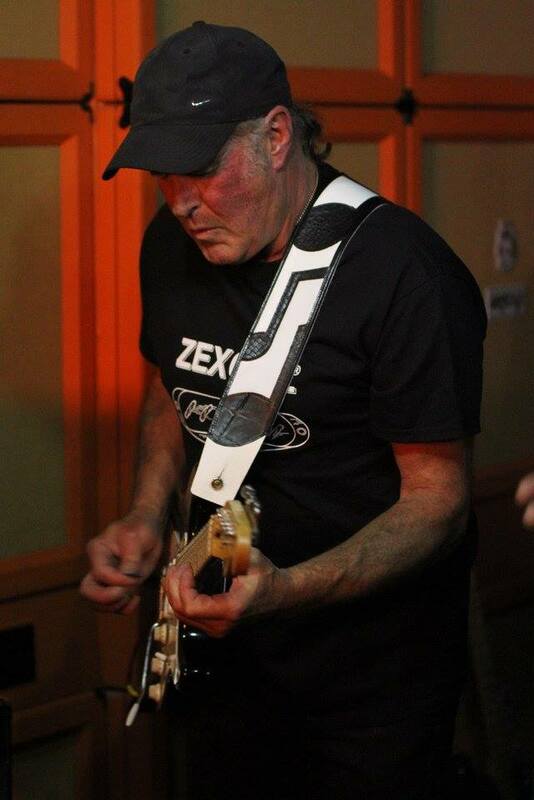 He began his affinity with the guitar from the age of eight when he learned to play the lap steel and later moved onto the guitar while serving in the army. Starting with Mitch Ryder in 1971, he did an arrangement of Lou Reed's 'Rock and Roll' for Ryder's 'Detroit' album, which caught Reed's attention and moved him to engage Hunter and Bob Ezrin for his follow up to 'Transformer', 'Berlin'. Bob Ezrin would later remark that Hunter's copious contributions to rock music have earned him the designation of "Guitar Hero". Hunter is also known for playing legendary riffs such as Aerosmith's "Train Kept A Rollin'", the acoustic intro on Peter Gabriel's "Solsbury Hill" and he wrote the legendary intro interlude that made Lou Reed's live version of "Sweet Jane" a first gold record (the Rock 'N' Roll Animal live set). Hunter taught at The Musicians Institute in Hollywood for two years as a private tutor. He credits the late great LA guitar teacher Ted Greene with renewing his interest in playing after a low period in the 80's. He took lessons with Ted for about four years. Hunter has contributed to seven Alice Cooper albums, starting in 1973 with Billion Dollar Babies up to 2010 when he featured heavily on the new, ‘Welcome 2 My Nightmare'. He completed a World tour with Alice in 2011 but left at the end of that year to write and record his new solo album, 'The Manhattan Blues Project'. This was Hunter's fifth self produced solo album. It was released in April of 2013 and featured guests, Joe Satriani, Joe Perry, Johnny Depp, Marty Friedman, Michael Lee Firkins, Tony Levin, Phil Aaberg, Tommy Henriksen, 2Cellos and Jason Becker. In 2014 a live DVD/CD (Tone Poems Live) was released with Tony Levin (bass) Phil Aaberg (keyboard) and Alvino Bennett (drums) for a project funded and produced by Brian Brinkerhoff. After the sad loss of his old boss, Lou Reed, in late 2013, Steve was featured in a documentary about Reed for a BBC4 Documentary by Chris Rodley called, 'Lou Reed Remembered'. In 2015 after gathering the required evidence, Steve's wife Karen managed to get some long overdue performance royalties for Steve established with the UK based Society PPL for some classic solos that he had never been given credit for, including the opening solos on Aerosmith's 'Train Kept A Rollin' and six 'Billion Dollar Babies' tracks. Hunter also works on music for licensing out to TV and Film as well as Chillout projects with Karen under the name 'Rue la Mer'. He recently released a solo album called, 'Before The Lights Go Out'. Soon after, Camilo was offered the opportunity to work with Three-time Grammy Winner and internationally acclaimed singer/songwriter Jon Secada. Camilo toured several countries with Jon and got to play for large audiences in the United States and South America, and Asia. Despite his young age, he was offered the opportunity to join the top selling latin artist in history, Julio Iglesias, in his 40th anniversary world tour. With Julio, Camilo visited over 40 countries in nearly every corner of the world. He performed in stadiums and arenas for audiences of up to 250,000 people. Camilo was also the houseband guitar player for the latin hit TV ShowCHARYTIN Y FELIPE SHOW during its entire running time. In the show, he had the opportunity to play with artists such as Gilberto Santarosa, Olga Tanon, Cabas, Fanny Lu, Charlie Zaa, and many more. In 2015, he began touring with latin artist Diego Torres. Camilo has also performed with Sofia Reyes, Teedra Moses, Daddy Yankee,Marger, Dudu Fisher, to contemporary christian artists like Marcos Yaroide,Ricardo Rodriguez, and Blest. Camilo's recording credits include Frank Quintero, Marcos Yaroide, Grupo Treo, Zondre & Unstoppable Praise, and many more along the side of grammy winning artists and producers. Sound Engineer for over 44 years, over 40 years of global touring with music, trade shows, film shoots, TV. Guitar technician, production manager, Tour manager. Nitebob is the road manager/production coordinator for Walter Becker and Donald Fagen at Steely Dan and has worked with Ace Frehley, Lez Zeppelin, Paul Rodgers, Ian Hunter, New York Dolls, Hanoi Rocks, Silvertide, Rich Robinson, Jesse Malin, Alana Davis, Zebrahead, Silver Ginger 5, Ted Nugent, Aerosmith, REM among others. "It’s an exceptional pickup. In the 40 plus years that I’ve been doing this, the voicing of the single coil style pickups is the best I’ve ever heard – and they don’t hum." Carl Harvey’s career in music spans over four decades, to the mid-1970s when he recorded with reggae immortals such as Jackie Mittoo, King Tubby and Prince Jammy, a decade which for Harvey culminated with Willi Williams’ international hit record Messenger Man and his own first solo album Ecstasy of Mankind, which since its first legitimate release on Makasound in 2005, has become a much sought-after collector’s item. Also during that time, Harvey joined Crack of Dawn, Canada’s seminal black funk band that has recently reunited for several special concerts. In 1980, Harvey joined the literal originators of the word reggae, Toots & The Maytals. Thirty-three years later, the Maytals remain one of the top touring reggae bands in the world. In just over half a century since the great Toots Hibbert founded the Maytals, they have released more than 30 albums and compilations; Harvey appears on more than 15 of these records including 2004’s Best Reggae Album Grammy Award-winning True Love. Toots & The Maytals have performed with the some of the world’s most popular artists including the Rolling Stones, Dave Matthews and Sheryl Crow; and headlined stages at major eclectic, jazz and reggae festivals worldwide such as Glastonbury, Bonnaroo, Montreal Jazz Festival, Reggae on the River, Fuji Rock,Summerjam (Cologne, Germany) as well as hundreds of others along with the global A-list of clubs & theatres. Harvey’s 2005 solo album The Times also received wide-ranging critical acclaim. Harvey’s body of work as an engineer and producer, and his overall contribution to the development of Canadian reggae & RB, is equally as impressive as his musical canon. Three-time Juno award winner (and 4-time nominee) Kim Richardson, Canada’s first international reggae supergroup Messenjah, Sway (he produced their Juno-nominated 1989 worldwide hit ‘Hands Up’), Ojiji (with his brother Rupert), Alexis Baro and Crack of Dawn head the long list of Canadian solo artists and bands whose success bear Harvey’s indelible stamp as a producer and creative contributor. 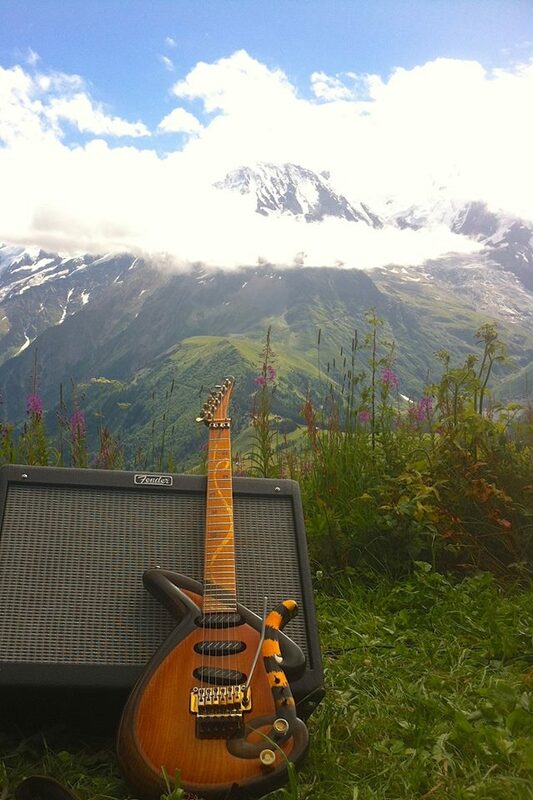 Carl Harvey Instruments - Carl’s line of guitars (Rastacastas) which feature Zexcoil pickups. Dr. Lawing recently had the opportunity to spend some time with Elliott at his home studio in London. 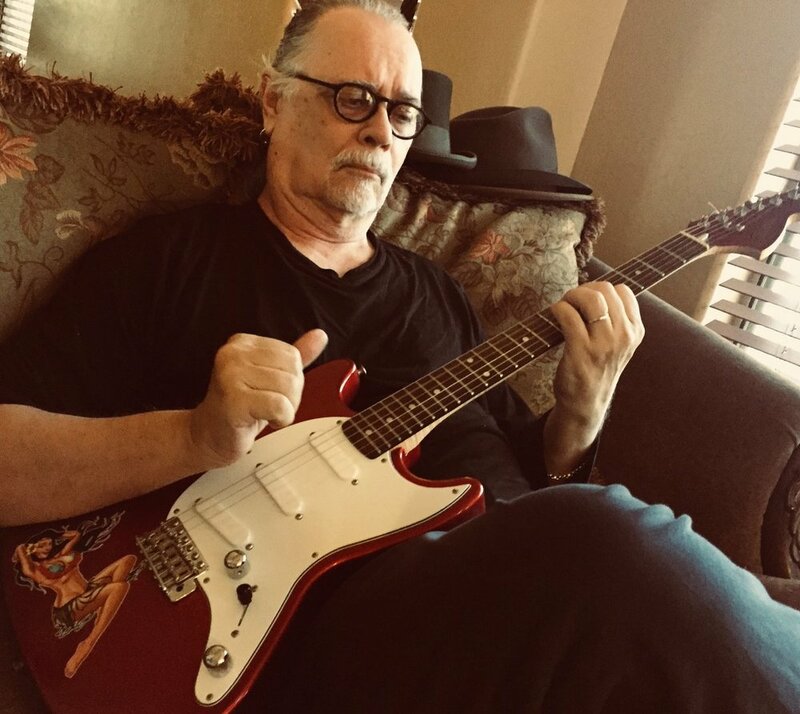 In addition to cutting some demos, the Dr. conducted an extensive interview with Elliott covering his personal and professional music history as well as Elliott’s advice for guitarists and other musicians. Highlights include details on his work with Steely Dan and anecdotes from throughout his career including: Jimi Hendrix, The Band, Eddie Kramer and more. Dr. Lawing sat down with Elliott Randall for an extensive interview. In this first episode, Elliott discusses his formative years on guitar and his early professional history including: The Druids of Stonehenge, Seatrain, Randall's Island and his first two solo albums and his early recording with Steely Dan. Anthony is the owner of Texas Blues Alley, and is the author of a large catalog of blues guitar courses and free lessons. For 6 years he ran StevieSnacks.com, a site dedicated largely to teaching the style of Stevie Ray Vaughan. In 2014 he launched Texas Blues Alley to replace it, and widen the focus. John Bendy was born in Brooklyn, New York October 5 1980. He started playing guitar at age 10. His first gig was a school talent show at age 12. Since then there have been hundreds upon hundreds of gigs and late night jams. In his early twenties he was taken under the wing of blues masters Bill Perry and Popa Chubby. 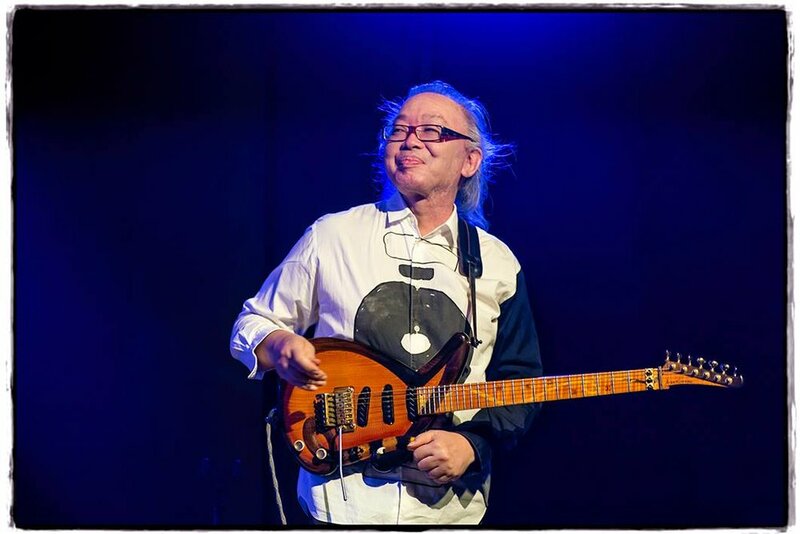 He has shared the stage with the Bendy Pastorius Group of which he was a founding member along with his brother Mike Bendy on bass and Julius Pastorius on the drums since 2007. He played guitar on Chrissie O'Dell's 2010 release 'If I had a dime' which charted extremely well on blues music charts around the nation.